I want to start my own business but I don’t have money or business ideas. Today we find many young and dynamic people who are aspiring to start small business but face same issue. Are you one of them? Are you feed up of doing job? Do you want to be boss of your own? If yes you are at right place, In order to help you we are herewith low-cost, low risk 20 business ideas that require no money or little money. (1) Recruitment Firm: – Starting recruitment firm is very good business idea and it does not require money. You can start this business from your home you just requires phone connection and few contacts. (2) Online Website:- Starting small website is small but very good business idea This business contains huge potential. Today you can see many websites earning in lakhs and Crore. (3) Freelancing:- You can start your own freelancer business anytime, this business does not require any money. You need to just post your expertise on open forum or freelancing website. Make sure to post all information like past experience, project to increase your prospective. (4) Photographer:- If you are very good at clicking photos. You can turn your hobby in to business. You just need very good camera to start this business. You can earn money by providing professional photography services. (5) Personal Tutor or Trainer: – If you possess good skill in teaching, providing education or personal coaching is very good business idea. In this business you don’t require any money for investment and you will not face any recession in this business, because education is prime need today. (6) Interior Designer:- Providing interior design services is good idea. Well this business requires special skill and creativity to be successful. (7) Match Making or Wedding planner:- Mostly people hire match maker or wedding planner in marriages, so starting Match making or wedding planning business is wonderful idea. This business require small amount of investment. (8) Real Estate Brokerage or Consultancy:- You can start your own real estate brokerage or consultancy business without money. What you need is few contacts with prospective buyers and sellers. If not, check online and print media for properties that are to be leased or to be sold also take help of classified website or local newspaper make database and start contacting. (9) Insurance consultant or Agent:- Today many people seek advice for insurance. If you are planning to start part-time business, than working as insurance advisor or consultant is best idea to start with. (10) Consulting business:- If you are expert in certain filed like personal finance, branding, management, marketing or advertising you can start your own consultancy firm. (11) Content writing:- Creation of content is art and if you are master in it you can start your own content writing business. (12) Security agency or detective agency:- Security and safety are major concern today, and people are ready to spend money for that. To start security agency for providing manpower or to start detective agency is another good business idea. (13) Dance, Music or Drawing school:- If you are good at dance, music or drawing you can start your own dance, music or drawing class. If you are seeking some practice, initially you can join some course to upgrade your skills. (14) Career counseling:- Millions of youngsters and their parents are confused about various career options. You can research about various career options and offer career counseling to them. Just share what you know do not promise the world to them. (15) Fitness or Yoga Teacher:- If you are professionally trained you can act as fitness or yoga teacher. (16) Baby Sitting and Cooking service:- If you are woman and want to start small business than you can opt for babysitting service or cooking service. This is hit idea in metro city as we find a lot of working woman in city and they often seek this type of services. (17) Chocolate maker:- This is another idea for woman, as we know chocolate is loved all over world and if you learn to make it in different shape you have very good business on your hands. (18) Tiffin Service:- If you are very good cook and love to serve tasty food than starting tiffin service is good idea. (19) Event Manager:- You can act as event manager, if you are good coordinator and can manage multiple task at same time. Today many corporate and SME opt for Event manager for their programs. (20) IT Support services:- Today IT is booming field and if you are expert in IT you can start your own business of providing IT support and services. Readers let’s keep the list growing below. 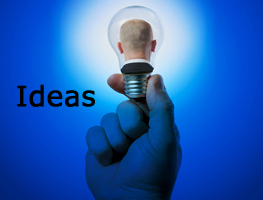 Leave a comment, with a good business idea that you’ve been thinking to start without money. « Stock market prediction really works? You can earn money online without capital. You can get involved yourself in online jobs without investment or affiliate marketing. so tell me how can i start …. Steps for starting interior designer business is given below. (1) The first step in the process is to think of a name for your interior designing business and the constitution of your company. (2) The second step would be legally constitute the setup that you have chosen in the first step. (3) Step third is about writing your business plan. (4) Next is to Hire some key supplier of Interior Decoration material. (5) Build your client portfolio and generate business. I want to start a franchise of clothes but I have no money for this . How can get that done this? I am unable to get you.Franchise of cloths means.Without money you will not able to do franchise business.